The distribution company behind kids TV programme Peppa Pig has posted a 7% increase in pre-tax profit, and revealed its international expansion plan. Media distribution company, Entertainment One, has announced sales up 7% to £503m in the 12 months to April, with pre-tax profits doubling from £11.4m to £23m. Having released 152 films during the period as well as delivering 119 hours of television programmes, the company has had a busy year. But the greatest source of growth has come from its five-year UK licensing deal with Amazon.com, to have content distributed via the e-commerce giant’s on-demand movie rental service, Lovefilm. The company has landed on its feet having signed up with Lovefilm, which has allowed it to boost its digital business to revenues of £66m, The media distribution industry has seen extremely rapid change in the last two years, with the growth of online and on-demand streaming services allowing companies to cut their overheads and reach more potential customers. But only if you’ve got the right licensing deal. 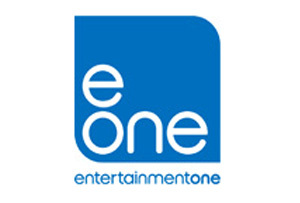 Entertainment One is also enjoying growth outside of digital. Within its portfolio, it also distributes the Twilight Saga films, which have grown film-only revenues 17% to £272m. The company could be about to scare off a swathe of investors however, after it confirmed it was in talks with a view to acquiring Alliance Films. The latter is valued at around $300m, which exceeds the size of Entertainment One’s debts facility, currently standing at around £244m. The acquisition rumours have already seen the share price fall from 155p to 130p. CEO Darren Throop, remains positive though. He said: ‘I am delighted to report another strong set of results, which clearly illustrate the strength of our strategy of continued investment in content.’ He may have to eat some humble pie if the Alliance Films malarkey is a step too far for investors…and that’ll be a bit of a pig.